This book is highly recommended by St. Bernard Book staff. It is one of our best sellers. Makes a great gift for a seminarian or priest. Call us (416-267-7126 or 519-366-2657) for possible home delivery in the Greater Toronto area. Here is the astonishing true story of the harrowing experiences of a young German seminarian drafted into Hitler’s dreaded SS at the onset of World War II. 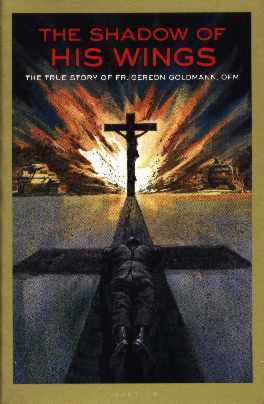 without betraying his Christian ideals, against all odds, and in the face of Evil, Gereon Goldmann was able to complete his priestly training, be ordained, and secretly minister to German Catholic soldiers and innocent civilians victims caught up in the horrors of war. How it all came to pass will astound you.